So you want to start a taco truck? Awesome! Let me be the first one to welcome you to the mobile food industry. Let me start things off by asking you a few questions? So where are you going to operate? What is your taco truck concept? Why would I want to buy your tacos? Not quite sure about your answers? That’s ok, everyone starting off usually will be in the same boat. The key to starting off as a food truck vendor, with a chance for success, is to be able to answer these and a few more questions. The good thing is, you’re in the right place. This article will walk you through a number of standard questions that you need to answer. If you don’t have answers that are backed up with facts or evidence, you will need to dig a bit deeper. Before you spend a dime on your taco truck, these are a small fraction of the questions you need to answer. While these questions may seem basic to you, you must understand what it takes to start a food truck business. Answering these questions will put you on the fast track and put you in front of the competition. Can You Operate A Taco Truck In Your Area? Step number one in getting your taco truck empire rolling, is to understand if you can even operate in your area. There is absolutely no need to waste your time or money if you live in an area that prohibits food truck operation. While the number of cities across the country that outright ban food trucks are dwindling, there are still enough, that you need to look out for. Start off with the state you live in. This can be as simple as checking your state’s small business website. Most states provide all of the pertinent information needed to start and operate a food business and the extra hoops you will need to jump through to run a food truck which may or may not offering catering online. If you run into a dead end, find a phone number or drive to the small business section of of state government. Here you be able to find out what you need to do to get a business license which will be required for your and a tax id number. The next step is to look at a map. What city or cities do you want your taco truck to operate? Create a spreadsheet and list each and every one and determine which county they are governed by. In most states across the country, after the state, it will be the county business office and health department that will provide your licenses and health inspections. The nice thing is, in many cases, if you can get your taco truck approved in one county, the adjacent counties will give reciprocity to your operation with an additional fee. But definitely check first, never assume, that is the quickest way to get your mobile food business in trouble. Now comes the heavy lifting. Once you’ve determined the county or counties you wish to vend, you will need to contact each and every city business office or health department to find out their specific rules and regulations for food trucks. This is where you will learn if you can park on the street. If you must park on private property or if there are zones that your taco truck is prohibited to vend. This will definitely narrow down your list, however, it’s always a good way to also determine which cities you want to actually operate in. One quick way to save yourself a lot of time is by reaching out to existing vendors. In most parts of the country, you will quickly find that food truck owners are very helpful to new vendors. If you have a local food truck association, start there. If not, find a handful of local vendors and set up a time (not when they are working) where you can ask them about which cities are food truck friendly. In most cases they will be very forthcoming and give you any tips that they learned when starting up. Great, you’ve determined that you can operate a taco truck in your area. Now is the time to determine who will be buying your tacos. Take your list of cities and find out who lives there. Find out the demographics in each and every one. Are the residents primarily male or female? Single or married? Do they have children? What is the makeup of their ethnic backgrounds? What type of home do they live in? Single family home, apartments, condominiums? Do they own or rent? How much do they spend on food, both in and outside of their home? What do they do for a living, where their jobs are and how much they make? With this information in hand, you can start to see or develop who your target market is. It will also help you build a taco truck brand that suits these individuals needs. Later on this data will help you develop a marketing plan to attract even more customers. While you may now know who your target market is, you need to understand who you will be in competition with. Time to jump back on to the Internet. Any easy first place to search for competition for your taco truck is Yelp. While a first timer might think to only look up other taco trucks, you’d be wrong. You need to find both direct and indirect competition. Offer the same products and/or services as you offer your customers. Have the same targeted demographic of customers. A good example of a direct competitor for a food truck is another food truck or fast casual restaurant that sells the same style of cuisine. Indirect competitors are a little more difficult to categorize in the food truck industry. Although a restaurant may sell the same type of cuisine that you do, if they’re classified as a fine-dining establishment, you likely won’t be competing for the same customers. Most of your indirect competitors will be the food trucks that serve different types of cuisine as you do but charge similar prices and operate in the areas you’re planning to work. What Type Of Tacos Will You Sell? Simple answer, right? Wrong! While tacos may be a staple of Mexican cuisine, but not all tacos are created the same. Determine how you plan to serve and market your tacos. Will you serve traditional Mexican cuisine? What region of Mexico will your taco follow? Will you use your mother’s recipe, or, will you try a fusion of cultures like Roy Choi did with Kogi? Hard shells or soft shells? While these may seem like easy questions to answer, you need to make sure you understand if these answers fit into your taco truck concept. Now that you have what proteins, again, you need to ask yourself if you are going to use high quality products or will you use lower grade proteins to save a few cents per dish, but let your quality suffer. This will be what you combine with the proteins to be part of your basic and signature tacos. Beans, salsa, cheese, etc… All of your toppings will either be store bought, or made in your kitchen. Remember, that while it may be cheaper and more time effective to use someone else’s salsa, it would be fraudulent to pitch your taco truck as if you are serving a scratch made menu. Over the years, I have consistently promoted sticking to a small menu for food truck owners. The primary reason is that if you keep your menu simple, your food costs are easier to manage and you can minimise your prep work and supplier base. The key is to understand your competition and determine if you can compete or sell enough tacos if you don’t also carry side dishes or desserts. How Will You Prepare Your Taco Menu? Now that you know what type of tacos will be on your menu, you need to know how every ingredient in every dish is going to be purchased, stored, prepared and served. 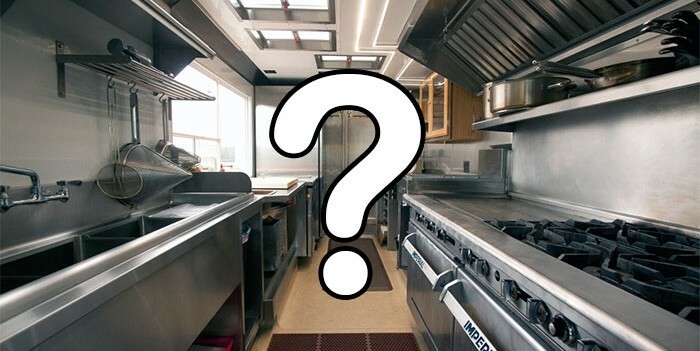 This will help you determine what type of commercial kitchen you will need access to if you cannot store or prepare everything on your truck. Or, it will show you exactly what type of equipment you need on your truck if commissary space is limited in your area. A staple of many taco trucks are the freshly fried tortilla chips, and without a deep fryer, your business will be forced to use pre-made products. A chip warmer should also be considered to keep the large volumes of chips being fried warm for extended periods of time. A range will be needed to cook sauces such as mole or queso dip, however it is a good idea to consider a range with a flat top as well. The flat top or griddle will be used to to cook your proteins such as ground beef, heat your tortillas or to saute vegetables. Most of the proteins cooked in a taco truck will be cooked on a charbroiler. To speed up operations, you may need to par-cook many of your ingredients in preparation, and then thoroughly heat them and hold their temperatures in a steam table during service. This allows you to meet the tremendous demand for hot tacos that may otherwise be difficult to keep up with. Vegetable prep is incredibly important in a taco truck. There is a tremendous amount of vegetable prep that goes into making things like salsa, pico de gallo, not to mention other vegetables that need to be cut. Consider a slicer, a lettuce cutter, a food processor, and even possibly a citrus wedger to speed up prep work. There is quite a bit of meat preparing that needs to be done behind the scenes in every taco truck, so it is important to have the right tools. Proper butcher cutlery, a chopping block, and even meat grinders (if you intend on freshly ground meat). Traditional kitchen utensils and accessories such as cutting boards, cutlery, cookware, will all be necessary if you are starting a taco truck, however, one of the biggest needs will be a surplus of hotel pans, especially if you par cook. Additionally, other accessories to serve from these pans will also be needed. Ladles, tongs, serving spoons should be on hand to assist in plating your dishes. Alright, now you have a basic understanding of your taco truck menu and all of the equipment you’ll need to serve these items. Now comes the fun part. The numbers! Due to varied factors that can be used to determine this answer, we typically provide a broad range of $40,000 – $250,000. While it technically answers the question, it’s still a bit broad for someone trying to determine if opening a taco truck business is something they can afford, or something they need to get a loan for. Because of this, we have generated this chart to help those interested in joining the mobile food industry. In the chart, you’ll find three areas. One time startup costs, reoccurring start up costs and costs that vary from area to area. Each of these sections is subdivided by three price ranges; $ = low, $$ = average and $$$ = high for each area. While this guide should be used as a general group of ranges, it is helpful for those interested in finding how much starting up a taco truck business can cost. Prices shown are not set in stone, and can change without notice. Reoccurring prices shown are for 1 week. Prices shown which vary by location are for 1 month. So how will you price your menu? The biggest question you need to answer is how much each and every single taco being served from your taco truck will cost for you to make. You need to spend a lot of time configuring your recipes so you get the perfect flavor. Once that is done, it’s time to cost out each and every ingredient that goes into the dish. When I say everything, I mean everything…including the cost of labor to put your dishes together. Without this tabulation, you won’t have a clue on pricing, other than looking at what your competitors are charging. Then again, even if you charge the same thing, you have no idea if they are getting discounted prices on their ingredients or have a system in place that saves them time and money preparing their food. The other big thing you’ll miss…you’ll never know if you are making a profit or taking a loss on dish. Or, how many tacos you will have to sell before you do make a profit. I could spend hours writing about the prices, but to be honest, without a recipe or a supplier for the ingredients, you’re spinning your wheels. How Will You Fund Your Taco Truck? As the mobile food industry has grown, so have truck loan options. If you’re looking for a loan specifically to finance the truck itself (including kitchen equipment), then equipment financing will be the way to go. Equipment financing allows you to access funding to purchase business equipment that will, in turn, act as collateral for your loan. Because lenders usually make the repayment term as long as the projected life of the equipment, you’ll be able to stretch out your payment schedule for a longer period of time. The easiest way to get an equipment loan is to work with a food truck builder who has a relationship with outside lenders. They will be able to put together a financing package that includes your truck and all of the equipment needed to get you operational. If you anticipate needing funding for more than just your taco truck, then you should consider a business lines of credit for your food truck loan. Business lines of credit give you access to funds from which you’ll be able to draw capital as needed. When you repay your business line of credit, you’ll only owe for the amount you actually end up spending. This means you only pay interest on what you end up spending. If you need less than $50,000 to finance your taco truck, then look into SBA Microloans. Through this program, the Small Business Association provides loans of $500 to $50,000 or less to community-based non-profits that, in turn, lend the proceeds to local small businesses. Business credit cards are an option for food truck financing due to the facts that in many cases you don’t need a huge loan. Even if you’re just starting your food truck, this is an option. The key is that you will need at least an average personal credit score to access spending power through a business credit card. Crowdfunding is especially useful for taco trucks that need to access financing. Using websites like Kickstarter and IndieGoGo, you can launch fundraising campaigns and ask for customers, family, friends, and strangers to contribute donations to finance your food truck. The next steps will involve compiling all of your necessary information including all of the documents to verify that information. Then, you’ll need to apply for the loans or launch your crowdfunding campaign. What Makes Your Taco Truck Unique? This is why I stressed these points early on in this article. However, I didn’t explain the final point which is based on using your strengths to keep your customers back for more. Capitalizing on your core competencies. The key to differentiating your food truck is to create a unique experience and making sure that experience fits your target market. Think of it this way. Each time someone walks up to your taco truck, they are evaluating the experience they’ll get from a meal at your truck. 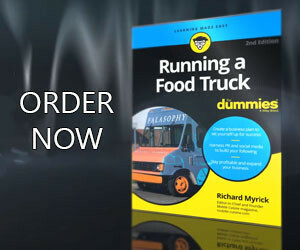 With this knowledge, you will come to understand how your food truck will give customers the best experience possible. This is a winning formula where you clearly demonstrate customer value, and where your competitors are unable to replicate the experience that your food truck provides. These are just the initial questions a prospective taco truck vendor must answer, but there are many more. I have always explained the importance of writing a food truck business plan. The primary reason is due to the questions that will arise as you work through your initial draft. Not only do you need to have a clear knowledge of your proposed business, but unless you have a bank account filled with cash, you are going to need to find a lender to assist you in getting started. This is where the business plan comes into play. Once you’ve completed your business plan, you will have answered a lot of questions. These answers will tell you if you have a sound taco truck concept and if it will be profitable. Now comes the hard work. It’s time to start using these answers to make your dream a reality. A nice thing for you, is that over the years, we’ve created content to help you along the way. The next step in the process is to continue your research, our suggestion is to start searching through the numerous articles, on just about every food truck related topic, read and learn from them. Starting a taco truck business is no easy task, but if you ask and answer these standard questions, you’ll be on the road to becoming the next great track truck in our growing mobile food industry.